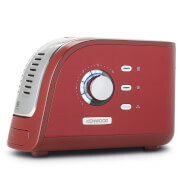 The Kenwood Chef Sense stand mixer is designed to provide amazing results for home baking. The mixer features a generous 4.6 litre glass mixing bowl with measurements on the side for easy, mess-free preparation. Engineered with built-in handles and a protective splash guard with a large feed chute, the mixer is incredibly easy to use. 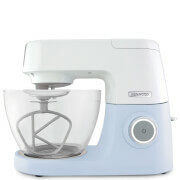 The stand mixer is complete with three dedicated bowl tools to help you bake different recipes. A unique K-beater reaches all areas of the bowl and is ideal for mixing dry ingredients. The balloon whisk is specifically shaped to trap air when mixing, which is perfect for making sponge cakes. The dough hook takes all the work out of kneading bread. An intelligent speed control enables perfect mixing every time. The speed dial enables you to gradually increase the speed of the 1100W motor from a slow start to full speed to provide optimal control and limit mess. The touch head lift lever provides access to the bowl with a single touch. 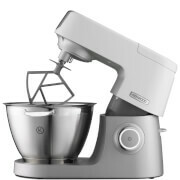 Item (Kenwood KVC5000 Chef Sense Stand Mixer) was of the most fantastic quality! Packaging was first-rate . Exceptionally speedy dispatch and quick delivery. Good service.Thank you for all . HIGHLY RECOMMEND.!!! This Kenwood Sense was bought to replace my 38 year old Chef. Although I have used it twice so far, I am pleased with it. It also seems a little quieter than my old model. I like the glass bowl. So far, so good..